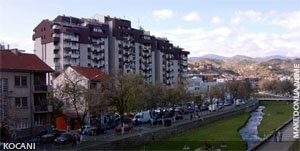 Kocani ... On the southern foothills of the Osogovo mountains, in the Kocani field, one of the cities with the best urbanistic design and solution is located - Kocani. 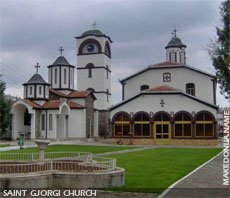 It is settled in the eastern part of the Republic of Macedonia, 115 km from the capital Skopje and from the nearby city Stip, is just 32 km away. Kocani is settled on the both sides of the Orizarska river. Kocani is very well known for it's rice fields and because of the wealthy of the region with water gorges. It is presumed that it was brought to Macedonia by the army of Alexander the Great, after the conquest of India. 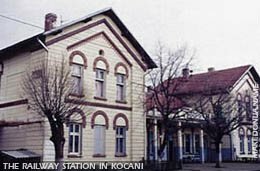 The name Kocani is mentioned for the first time in the year 1337, during the period of the feudal ruler King Marko, but it is confirmed that settlements existed here much earlier than that. This is supported by the existence of the representative archaeological site Morobizdon, in the Kocani village of Morodvis. Its abundance of findings and multitude of historic layers are an evidence of an intense and well-developed cultural life throughout the centuries.